Facials Perth offer a wide range of advanced facial treatments that will have your skin looking luxurious and rejuvenated. 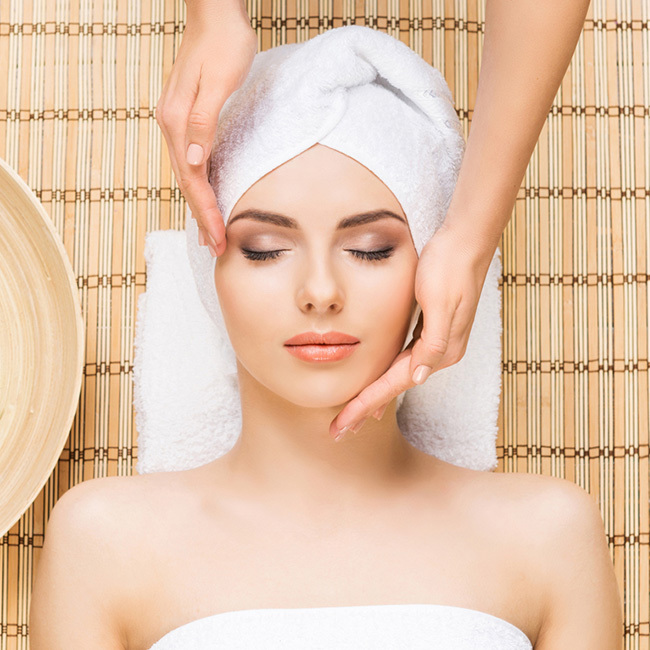 The facials Perth team have the experience and knowledge to help you achieve amazing results. All our Facials Perth procedures are tested and proven to give you radiant skin. Our skin care experts offer a full range of facial services including, Hydradermie, Hydra – Lift, Beaute Nueve, Liftosomes, Aroma-vie and more. You can feel safe in the knowledge that we have a facial skin treatment that is perfect for you. We take the time to understand your skin type and assess which products will give you lasting results. Facials Perth will tailor a skin care solution that is just right for you. We use only the top skin care and body care products. Experience the best facial treatments Perth has to offer at Oxford Beauty Clinic. This ultimate skin treatment is the perfect balance of a professional spa facial, delivering the results you need whilst indulging in a true facial pampering. Suitable for all skins, this treatment includes triple exfoliation to renew, replenish, & nourish the skin. It includes a facial massage using youth activating balm, to make sure you truly relax. Corrective skin treatments start in-clinic with treatment results maintained at home. PDP offers booster treatments based on medical strength activities that work skin deep, returning normal skin function and cell optimization. A course of treatments once a week for 6-8 weeks is normally sufficient to change the cells’ behanviour and a monthly maintenance treatment thereafter keeps them on track. PDP corrective salon treatments are between 30-45 minutes and include a deep cleanse, exfoliation, customised peel & alginate rubber mask. 1. Pomegranate Enzyme Peel: The ideal level peel for all skin types. 2. Pumpkin Enzyme & Fruit Acid Peel: an effective yet gentle peel for all skin types, especially sun damaged, aging and uneven skin tone. 3. Catalyst Retinol Peel: A Vitamin A, B3 & AHA skin correction treatment for most skins. 4. Oxygenating Enzyme Peel: Natural fruit peel with Papaya, Pumpkin & Pomegranate Enzymes in one, offers intense oxygenation and skin pick-me-up. 5. Bio-White Peptide Peel: A high-strength Vitamin C & Peptide Peel especially for pigmented, dull and uneven skin tones. 6. Alpha-Beta Peel: A serious skin resurfacing peel, made of concentrated levels of lactic acid, AHAs, BHA & B3. Not for the faint-hearted or before a special occasion. Oxford Beauty Clinic offers a wide range of advanced facial treatments that will have your skin looking luxurious and rejuvenated. The facials Perth team have the experience and knowledge to help you achieve amazing results. All our Facials Perth procedures are tested and proven to give you radiant skin. Our skin care experts offer a full range of facial services including, Hydradermie, Hydra – Lift, Liftosomes, Aroma-vie and more. You can feel safe in the knowledge that we have a facial skin treatment that is perfect for you. We take the time to understand your skin type and assess which products will give you lasting results. Facials Perth will tailor a skin care solution that is just right for you. We use only the top skin care and body care products. Experience the best facial treatments Perth has to offer at Oxford Beauty Clinic. Pro Dermal Planning Series – 110. A beauty treatment with visible, lasting results. Leaves skin glowing. Under the magical effect of active ingredients selected to suit your skin type and diffused by gentle ionization, your face recovers a new, radiant beauty. Hydradermie Lift is developed to lift the features by stimulating facial muscles. Just as you sculpt your body in a gym, this treatment creates a lifting effect in just a few sessions. The skin recovers vitality and spectacular radiance. Guinot created this patented Thermaclean heating electrode specifically for this treatment. Instead of using steam to soften the pores (that can dry out and damage skin and which you can not regulate the heat), this electrode is set to a specific temperature and can be adjusted to each person’s comfort level. While softening that pore, the heat from the electrode simultaneously penetrates the treatment gels deep into the skin. The first effective booster treatment with orange extracts that revive the skin with a flourish. The tone of your skin is immediately improved, fine lines are minimized and the facial contours appear firmer. This treatment is ideal for all skin types, fantastic to have done before a special occasion. Microdermabrasion perfectly prepares the skin’s surface for the enhanced infusion of treatment products applied during Sonophoresis. Microdermabrasion and Sonophoresis is an effective treatment for: Fine lines and wrinkles, Acne blackheads and congestion, Pigmentation, Minor scar revision, Rejuvenation of dull, tired skin, Open pores, Age revealing hands and feet. Microdermabrasion gently removes dead cells from the skin revealing younger, fresher looking skin while at the same time unclogging pores and stimulating new cell growth. It is also safe and non-invasive. Regenerates skin cells and restores PH balance. Stimulates cellular activity for a renewed skin effect. (Dermostimulines, passion fruit extract) Restores skin PH. Soothes skin and enhances beauty. Calms and protects the skin ( Acticalm) Nourishes and restructures the skin’s barrier. (Camelina oil). Regenerates skin cells, stimulates cellular activity for renewed skin effect. You can expect your complexion to be more radiant, luminous and even toned and your skin to feel softer and smoother, will also help in diminishing dark spots. Oxygenates & Purifies skin, great for troubled skin.